American forces conducted an airstrike near an Afghan National Army checkpoint Wednesday after the Afghan forces manning the post fired on a joint U.S. and Afghan force convoy. No Americans were reported killed in the incident. Mendie said that the Afghan and U.S. forces attempted to de-escalate the situation but continued to receive fire. “We are operating in a complex environment where enemy fighters do not wear uniforms and use stolen military vehicles to attack government forces," Mendie added. As a result, five ANA soldiers were killed and another 10 were wounded, the Afghan ministry said, adding that the incident is under investigation. 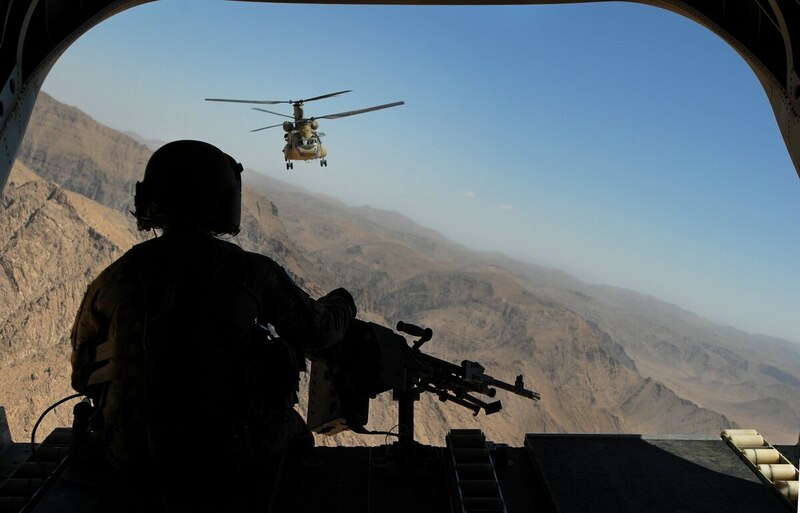 Mohammed Karim Karimi, the deputy head of the Uruzgan provincial council, told the New York Times that the U.S. forces believed they heard gunfire coming from the base, and a firefight broke out as a result. “It is still not confirmed who fired first, but then they both engaged in a firefight,” Karimi told the Times, adding that the fight went on for several hours and occurred around 3 a.m. local time. Qais Mangal, a spokesman for the Afghan defense ministry told the Times that the incident "was a mistake between them,” but that the Afghan checkpoint fired first. “The Afghan Army outpost opened fire first on a unit of Afghan and foreign forces headed to a military operation," Mangal said. Taliban insurgents frequently pilfer U.S. and Afghan military equipment and uniforms to bolster their supplies and disguise themselves during attacks.